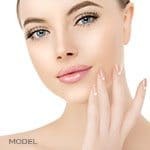 MilfordMD Cosmetic Dermatology Surgery & Laser Center is offering savings on its combination treatment of Ultherapy-filler-Botox to rejuvenate aging lips. The Kissable Lips special ends Feb 28th.. The next step in the Kissable Lips combination is to inject a dermal filler into the lips, to make them look naturally fuller and more youthful. “With age, sun exposure, a lifetime of puckering and more, the lips lose their pouty look,” according to Dr. Buckley. “The lost volume makes them look thin. Many women wear lipstick liner to make them look bigger, but some would rather have a more long-lasting natural looking effect.” The newest among the fillers used in lip augmentation is Juvéderm Volbella XC, which the FDA approved for lip augmentation and correction of lines around the lips in June 2016. “There has been high demand for Volbella XC at our practice because patients are hearing about the filler’s longevity. 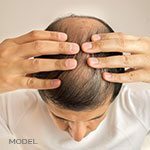 It lasts a year (maybe more) before needing a touchup,” Dr. Buckley says. Allergan, maker of the Juvéderm family of dermal fillers, has a proprietary VYCROSS filler technology, which blends various molecular weights of hyaluronic acid to achieve a smooth, long-lasting result. In studies of 168 patients, about two-thirds of those treated with Volbella XC, which has been approved in Europe since 2011, had improvement in lip fullness and lines around the mouth through one year. 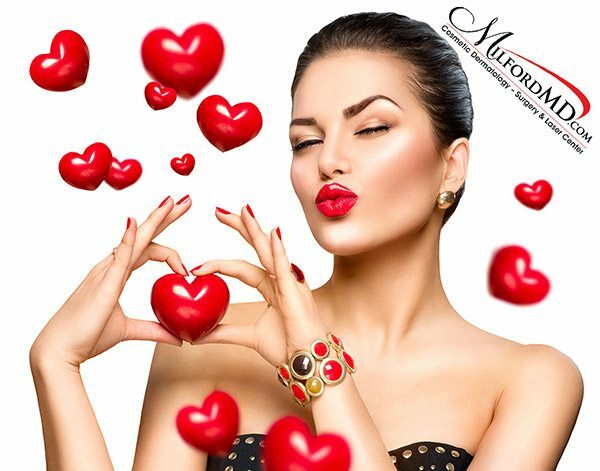 For more information on the Kissable Lips and other specials at MilfordMD Cosmetic Dermatology Surgery & Laser Center, go to our Specials page or call the office at (800) 664-1528.